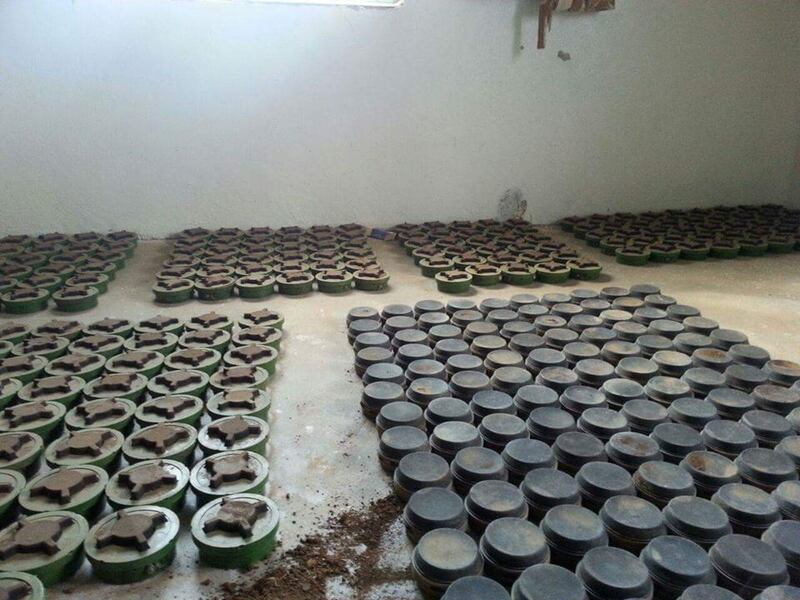 Recent images released by the Syrian Center for Demining & Rehabilitation (SCDR) feature Russian PMN-4 landmines which were found just west of Daraa, in Southern Syria. In a video dated 28 September 2015, a figure can be seen employing manual demining practices to remove a number of PMN-4 mines. 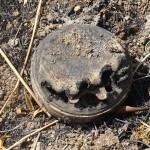 The earlier PMN-2 landmine (seen at left in the image below) has been documented in Syria since at least early 2012, however this is the first known appearance of the PMN-4 (above and below, at right). 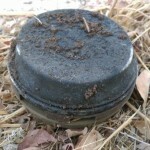 Whilst the PMN-2 is one of the most prolific anti-personnel mines in the world, the PMN-4 is less frequently encountered. ARES has previously documented their employment during the Ukraine conflict. With development beginning in the late 1970s, the PMN-4 first entered Soviet service in 1989. From 1989 until sometime in late 1990, PMN-4 mines were produced with a safety clip, whilst later mines have been produced with a safety cap. 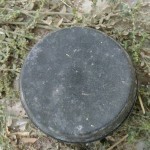 Once employed, the designs are not readily distinguished, however the presence of safety caps in available images indicates these landmines were produced after late 1990. This is supported by an analysis of the markings present on documented mines. 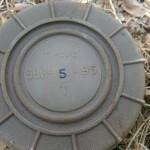 Images provided by the SDRC show the markings on at least four mines, indicating that all of these examples were produced at a Russian factory with the code 538 in 1995, with lot numbers of 5, 6, and 16. 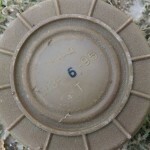 Interestingly, each of these mines is marked with a ‘Т’, indicating an explosive fill of TNT. 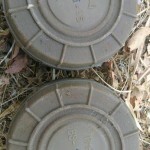 The PMN-4 manual, however, indicates that the mines are typically filled with TG-40, a 40/60 blend of TNT and RDX. It is unclear when or why different explosive fills were introduced. 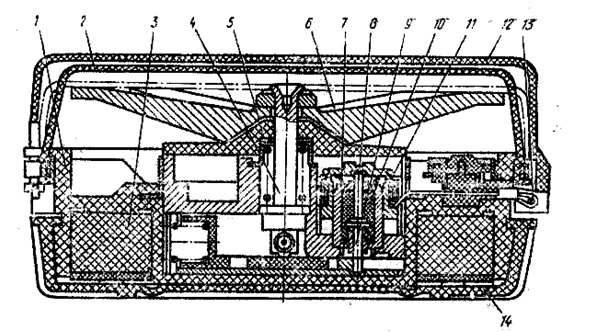 The diagram below, taken from a Russian manual, shows the general arrangement of the PMN-4 landmine. 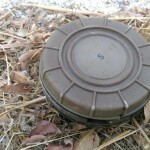 Contrary to some reports in the western media, the PMN-4 is not a minimum-metal mine, featuring metal body, pressure plate, and fuze components. 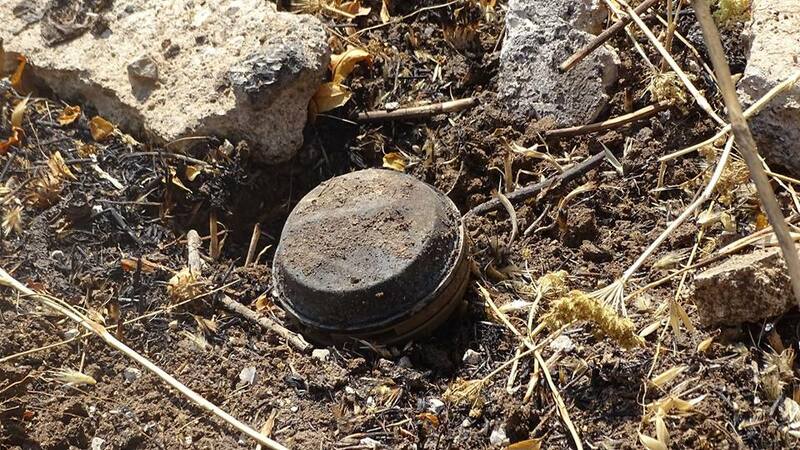 It is also worth noting that the PMN-4 mines observed in Syria so far have been employed without an anti-handling device, such as the Soviet ML-7 or ML-8. 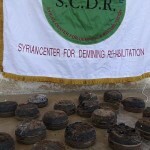 All photos provided by the Syrian Center for Demining & Rehabilitation. Special thanks to Gazi Sweedan (SCDR) and Mark Hiznay.